Wrinkles are a part of aging. However, there are wonderful wrinkle treatment products available at Janet Sartin that offers impressive results. As we age, wrinkles appear due to a variety of reasons. Aging causes wrinkles because our skin loses elasticity because of decreased levels of collagen production in our body. Collagen is a type of fibrous protein that helps to support and connect bodily tissues such as skin, bone and muscle. It is the glue that holds the body together by closely working with keratin to provide strength, flexibility and resilience. Sun damage is another problem causing a break down in the skin because of ultraviolet radiation. Continued sun exposure without protection will break down the outer layer of skin and deplete the collagen levels encouraging wrinkles. Lastly, ever-present gravity causes our skin to sag. Some of the best treatments for your skin from Janet Sartin are her Eye Firming Cream, Eye Un-Puff, Anti-wrinkle Lifting Serum, Firming Energy Cream, Daily Firming Neck Cream and Intensive Firming Mask. All of the products have been specially created to treat the effects of aging, sun damage and gravity. Be sure to check out all of our anti-aging solutions. Our eyes are one of the most important features of our face, showing the first signs of stress, lack of sleep, sun damage and poor nutrition. 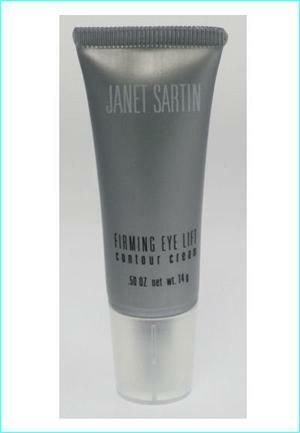 Janet Sartin's Eye Firming Cream, rich in amino-acids, soy, ginseng and ginkgo, provides remarkable results. Amino-acids are protein building blocks that help to maintain the skins elasticity along with the anti-aging all natural ingredients. Often puffiness and wrinkles are first noticeable around our eyes, but you can improve your appearance with specially formulated products that not only treat your appearance, but work to repair the damage. Janet Sartin is your source for incredible and proven wrinkle treatment products. Her products will improve the look and feel of your skin without just masking or covering up your skin problems. Come and experience world-class facial care at her New York salon or order her exceptional products used by celebrities like Bianca Jagger for great looks. 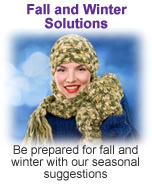 Try Janet Sartin's entire line of quality products to improve your appearance.